On January 30, 2019, after 88 years of faithful service, hard work, creating and loving a strong and close family, as well as countless escapades, Retha Johnson Cottle has finally escaped this mortal world. Surrounded by her family, in her home, warm in her bed, she returned to the loving embrace of God. Born, before her time on February 21, 1930, to parents Willis and Estelle Johnson she was the first of four children and sister to three brothers. Retha attended church services and functions regularly as a child, a practice she kept well into adulthood. She was vivacious and independent, gaining employment at the age of 16. Becoming Mrs. Gilbert Cottle on August 20, 1950, only further enabled her to pursue her passions. Teamed with one in a million husband she became one half of a dynamic duo. Together they conquered many obstacles and shared many adventures. In the 50’s and 60’s Retha played her accordion and sang, with her sister-in-law, she witnessed and fellowshipped in many local churches in her younger life. In the later part of their lives Retha and Gilbert happily donated their business and time to many events, including vacation bible school and holidays. In the 70’s, Retha enjoyed showing and competing her horses with her daughter. They won several competitions, including the Mother Riding Show Award. In the 80’s she had fun being an extra in films, most notably in the Silver Bullet as a werewolf. While she lived her entire life in Pender County she was also well traveled, the furthest vacation venue-Paris. Retha was an entrepreneur, creating and operating Cottle Acres-a carnival business, with her husband. They successfully hosted many events and participated in many festivals with their concession trailer selling funnel cakes, snow cones, cotton candy, and other carnival treats and prizes. In 2005 Retha was awarded Buck Aycock spirit award for her long time participation in the Spring Fest. If her hobbies had to be narrowed to one it would undoubtedly be gardening. Retha loved to be outside, having her hands covered in earth, and feeling the sunshine on her face. While growing vegetables was necessary, watching them and her flowers flourish absolutely delighted her. She had the definition of a green thumb, and grew many beautiful plants, decorating her home and yard for many years. 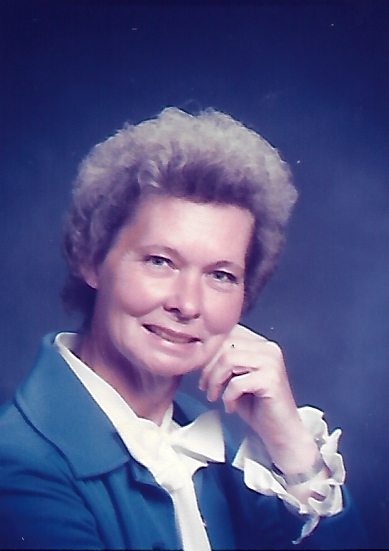 Retha Cottle died the widow of Gilbert Cottle, the mother of Frances Piner and Linda Batchelor, a grandmother of five, great grandmother of ten, great-great grandmother of two, and a faithful servant of our Lord and Savior Jesus Christ. She was headstrong and ambitious; characteristics that provided the foundation needed to equal more than the sum of her parts. She will be missed. Retha is survived by her daughters, Linda C. Batchelor (Arthur) and Frances C. Piner (AJ Johnson); grandchildren, Erica Batchelor (Hans Felsh), Kristal Batchelor, Timothy Piner, Wesley Piner, and Angela Piner; ten great grandchildren; two great-great grandchildren; brother, Donald Johnson (Anita); and many extended family and friends. The family will receive friends 1 to 2:00 p.m. on Saturday, February 2, 2019 at Quinn-McGowen Funeral Home Burgaw Chapel with funeral service beginning at 2:00 p.m. The Rev. Dean Walker will conduct the service. Burial will follow in Riverview Memorial Park.